Xiaomi has launched a perfect replacement to the Redmi Note 5 in India, namely, the Redmi 6 Pro. The Redmi 6 Pro is the first Redmi smartphone to launch in India with a notched display and it sports decent specifications for the asking price. The phone is exclusive to Amazon in the country, unlike the Redmi Note 5 which was exclusive to Flipkart in the country. 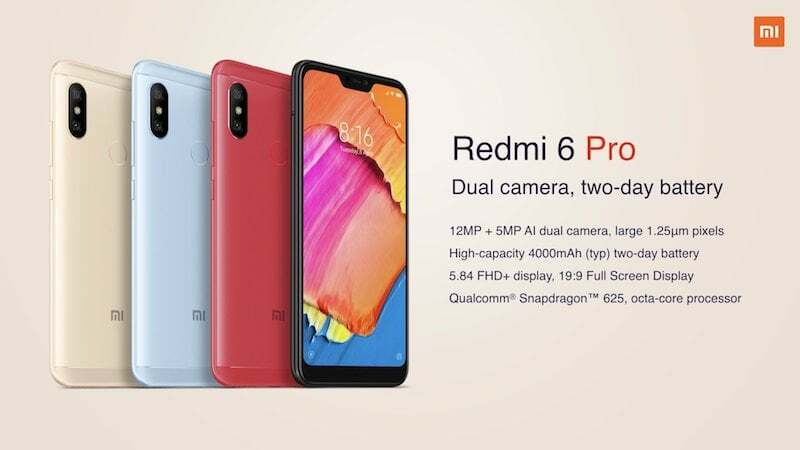 Alongside the Redmi 6 Pro, the Chinese handset maker also announced the entry-level Redmi 6A and budget Redmi 6 smartphones for the Indian market. Notably, the Redmi 6 Pro is yet another Xiaomi device to launch with Snapdragon 625 SoC in India. The Xiaomi Redmi 6 Pro sports similar specifications as the Redmi Note 5, except for the camera and that notch design. The handset rocks a 5.84-inch Full HD+ display on the front with 19:9 aspect ratio and 1080 x 2280 pixels resolution. At the heart of the phone, the Redmi 6 Pro has the Qualcomm Snapdragon 625 chipset, paired with 3GB/4GB of RAM and 32GB/64GB of internal storage. It also comes with a dedicated microSD card for storage expansion. Cameras on the Redmi 6 Pro include a 12MP primary shooter on the rear with f/2.2 aperture, 1.25um and PDAF, which works in tandem with a 5MP depth sensor. Frontal, the device has a 5MP selfie shooter. The device boots Android 8.1 Oreo-based MIUI 9.6 out of the box and is backed by a 4000mAh battery, but it lacks fast charging support. As for the connectivity options, it offers 4G LTE, VoLTE, Wi-Fi 802.11 b/g/n/ac, Bluetooth, GPS and a Micro USB port. The fingerprint scanner is present on the rear side, and the sensors include an accelerometer, gyro, proximity, compass. The device also comes with Face Unlock feature. As mentioned above, the Redmi 6 Pro has been launched as Amazon exclusive smartphone in India. It comes in two variants- one with 3GB of RAM and 32GB of internal storage priced at Rs 10,999 and the other one with 4GB of RAM and 64GB of internal storage which will retail for Rs 12,999. The Redmi 6 Pro comes in Red, Black, Blue and Gold colour options. Xiaomi is also bundling a free TPU case inside the retail box. The first sale of the device will take place on September 11, 2018, exclusively on Mi.com and Amazon India. There’s a HDFC discount offer of Rs 500 during the first sale if the customer opts to pay using HDFC credit/debit card. The primary competitor to the Redmi 6 Pro in India is the recently launched Realme 2 and Asus Zenfone Max Pro M1. The Zenfone Max Pro M1 sports much better hardware than the Redmi 6 Pro such as the Qualcomm Snapdragon 636 SoC and 5000mAh battery; It also runs a stock build of Android 8.1 Oreo. The Realme 2, on the other hand, has the Snapdragon 450 SoC, dual rear cameras, slightly larger 4230mAh battery and a good-looking design. But the Redmi 6 Pro offers superior cameras than both the Max Pro M1 and the Realme 2. 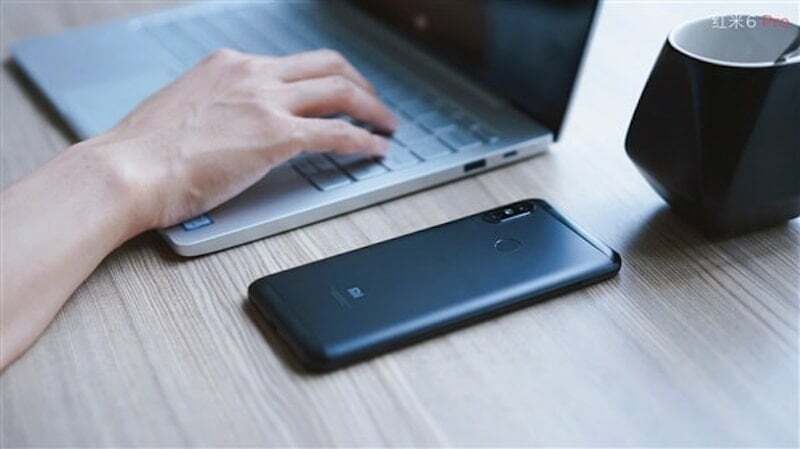 The Xiaomi Redmi Note 5 and Redmi 6 Pro, both boast similar specifications such as the metal build, Snapdragon 625 SoC, 4000mAh battery, MIUI software and a Full HD display. But the Redmi 6 Pro has a notch on top of the display, and it rocks dual rear cameras which are similar to the ones present on the Redmi Y2. The Redmi 6 Pro is also quite similar to the Redmi Y2 because they both have similar hardware. The Redmi Y2 has a smaller 3000mAh battery, while the Redmi 6 Pro has a larger 4000mAh battery. The Redmi 6 Pro has a Full HD+ display, while the Redmi Y2 sports an HD+ display. What’s up with Xiaomi and SD625? Have they both millions of soc in advance at discount or under some contract to order?